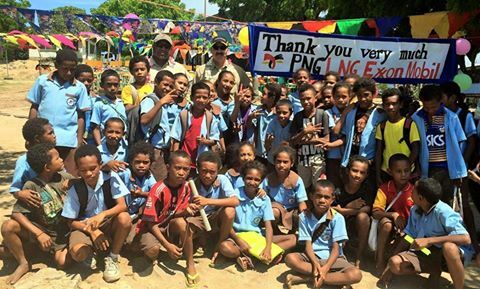 PNG Limited for the school desks donated in December 2016: Photo Supplied . “The future growth of the country lies in providing today’s children with a good education and having well equipped schools helps to provide aconducive learning environment,” said ExxonMobil PNG’s LNG Plant site Superintendent Al Sandoval. “The desks will make the children feel comfortable which will help them learn,” said HeadTeacher for Lealea Primary School MrsRanuLari. MrsLari added that the school was very grateful for ExxonMobil PNG’s support to help build the quality of education at the school. “I know the students will feel excited about their new desks and it will motivate them to learn and when the students are excited about learning, I’m much more excited about teaching,” saidMrsLari.